Gelato is irresistible. When I was little my mother always had to hold me back every time we passed a gelateria. It did not matter if it was morning and I just had breakfast, simply seeing the list of flavors stimulated my craving for it. At that time I was very skinny and the only reason to hold me back was to teach me that you should keep a balance with things and you must learn to control your desires especially when they become obsessions. I think my mother has succeeded in this educational intervention, but the cravings, albeit controlled, have stayed with me. 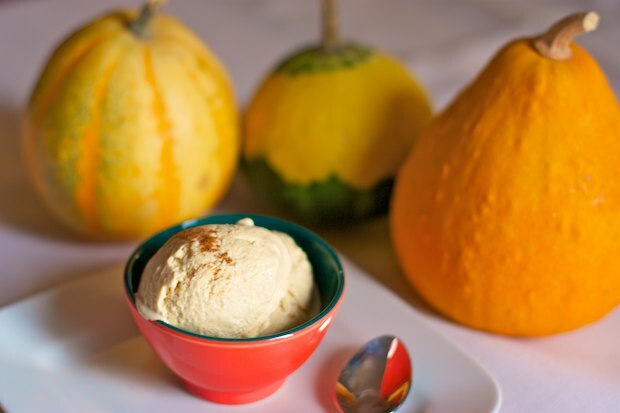 Since I have access to prime natural ingredients I thought it would be interesting to make gelato at home. Some years ago I started looking for an ice cream maker, and I found out that a semi-professional ice cream maker costs about €600-€700. Of course I abandoned the project. My son, aware of my research, found out that KitchenAid makes an ice cream attachment to match the mixer I already have. Finally from the U.S. came the tool that allowed me to make this homemade gelato. Steam cook the pumpkin and blend. Boil the milk with the vanilla. Beat the egg yolks with cinnamon and sugar until they are foamy then add the vanilla. When the milk reaches a boil, turn off the heat and slowly add the eggs into the bowl. 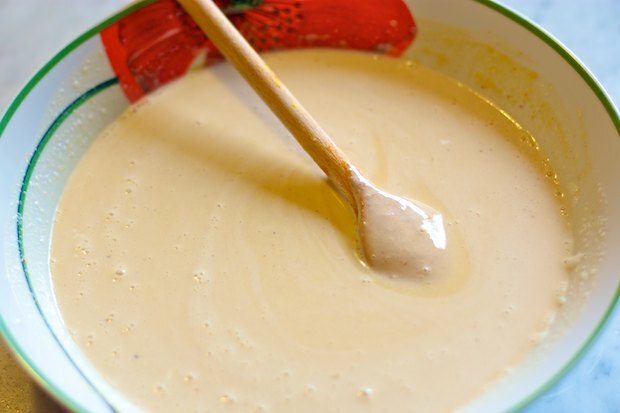 On low heat, slowly heat the cream, stirring continuously until the cream starts to stick to the spoon (if you lift up a wooden spoon, you will see a thin layer of cream), never boil (the cream will curdle). 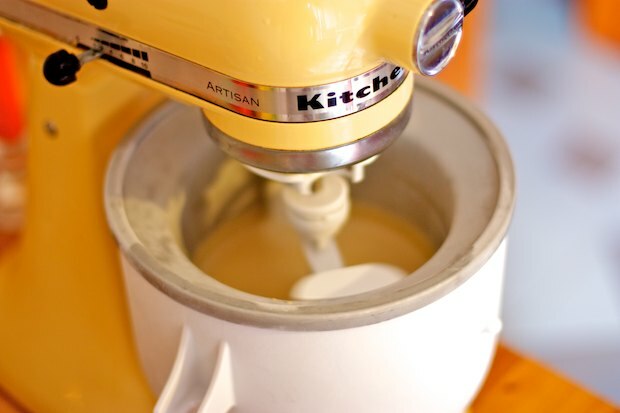 Allow the mixture to cool completely then take out the ice cream bowl from the freezer and mount it to the mixer. Turn on the mixture and slowly pour in the cream. After about 20 minutes, the gelato is ready. Pour the mixture into steel container with the help of a silicone spatula and let it cool for a an hour in the freezer. Serve a scoop per person. 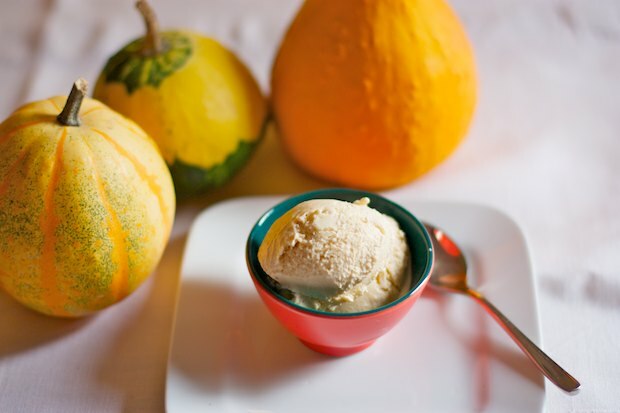 Posted in Dessert and tagged with Gelato di Zucca, Pumpkin Gelato. RSS 2.0 feed.